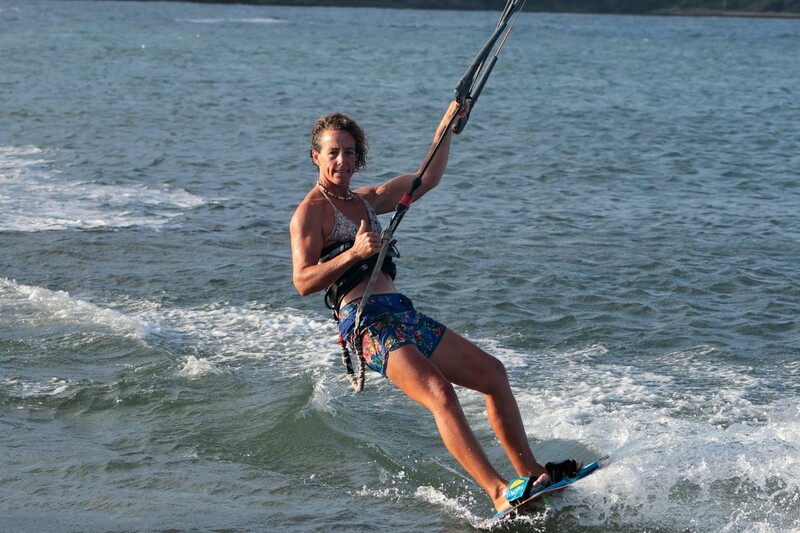 Beth Lygoe has been kitesurfing and teaching since 2001. 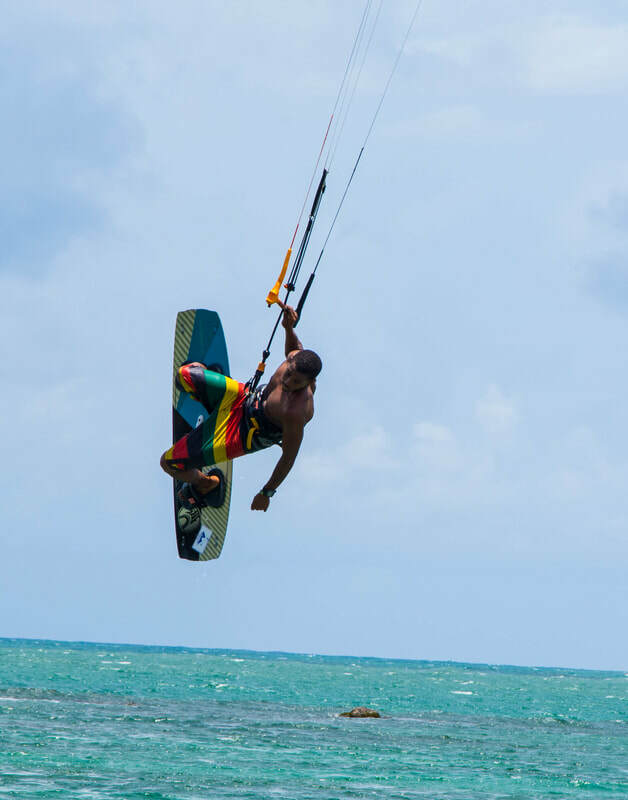 Life is a long adventurous journey, and it would take me a while to fill you in on the story of how I got to where I am today, maybe we can share a few stories with a cold rum one evening after a kite session at Marjorie's bar on the beach. I grew up in London, England and my love of watersports started when I was young. Every weekend I would be sailing laser radial boats, either training at the local club or competing at a regattas regionally and around the world. My first job out of school was a watersports instructor - teaching Sailing, Windsurfing, Yachting, Kayaking and Powerboating, as well as coaching advanced sailing racing clinics. But then the excitement of kitesurfing took over. In 2001 I learnt to kitesurf, became a qualified instructor and saw this as the opportunity to travel and see some of the beautiful kitesurfing beaches around the world. I lived in Perth (Australia) and Hawaii (Oahu) before coming to the Caribbean. 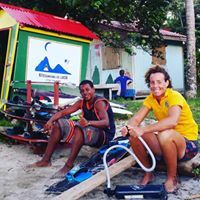 I came to St Lucia in 2005 to teach windsurfing and kitesurfing for a school relocating to Cas en Bas beach in the north. I still remember the first few months we would go down to the beach and pump our kites up and the local guys we intrigued, especially as we had some top level pros kiting back then! I have always played with mother nature and respected her power, then after only one season open Hurricane 'Dean' came through and wiped out the kite school. This left me with some choices to make, and after teaching down in the south for a few months, I quickly realised that Cas en Bas was my dream spot, and gave me everything I was looking for. A safe bay, good winds and convenient rocks that create some beautiful flat water (good for the knees). It seemed obvious to set up my own school in the north. I really enjoy either teaching or pushing myself on the water to learn new tricks. Then in 2010 I made a decision to explore my limits and challenge myself, and jumped back in a laser radial boat and see if I could qualify for the London 2012 Olympic Games. I got my citizenship for St Lucia, and when I started competing I realised how proud I felt representing our island. For 2 years I pushed my limits both mentally and physically, being inspired by the beauty of the island during the long afternoons out sailing on the water. My dreams came true and in 2012 I was a member of the St Lucia team representing at the Olympic Games. When something is a distant dream and you work so hard and achieve your ultimate goal, it truly is the greatest feeling. 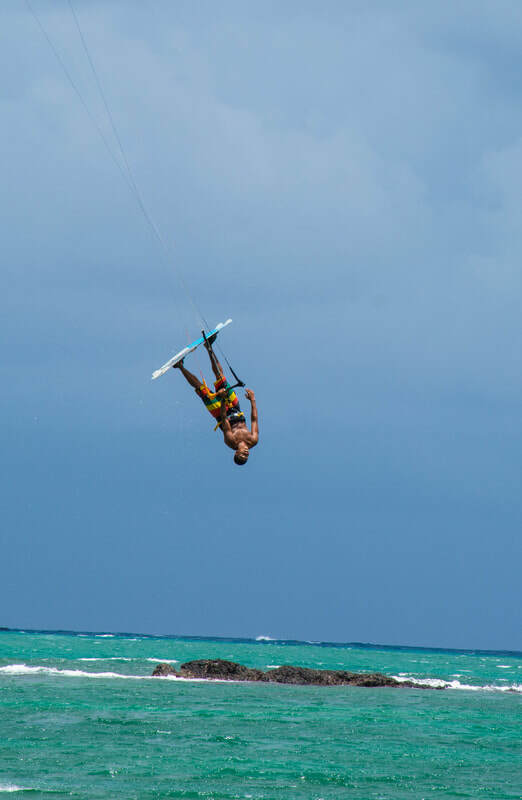 Competing at the highest level sailing for me is in the past (due to an overuse injury), and I am happy to be 100% back into my passion of kitesurfing. 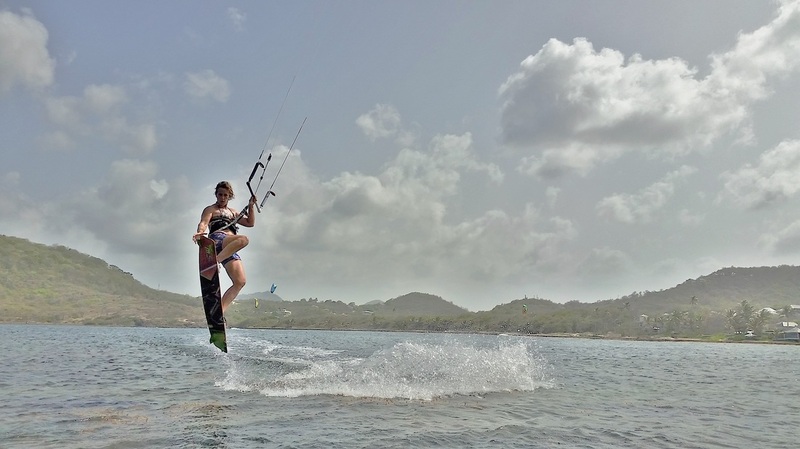 I am still learning new freestyle tricks every time I go out for a session on the water, and after all these years on the water still get great enjoyment from hooking into a kite and feeling what mother nature is giving us that day. I look forward to sharing with you my passion on the water, and will keep your learning experience fun and safe at the same time. Bobby is Cas en Bas's home grown instructor. When he first started flying kites on the beach as a small boy, aged 11, it was obvious straight away that he is a natural talent. 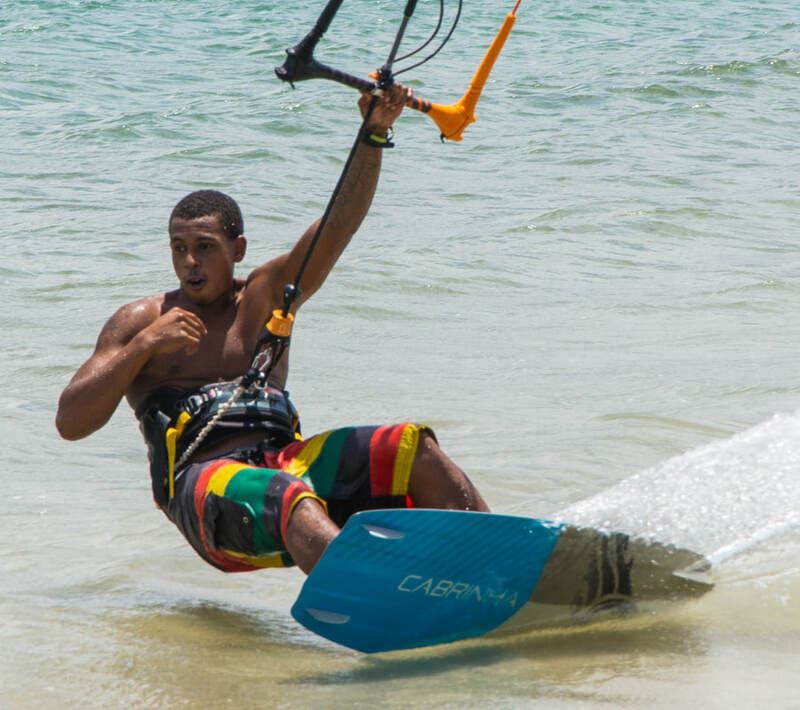 Now a full time instructor, Bobby is on the beach happy to assist you while the wind is blowing. His natural talent is obvious to those who take a lesson with him, as his informative, relaxed style of teaching will have you flying kites safely in no time. 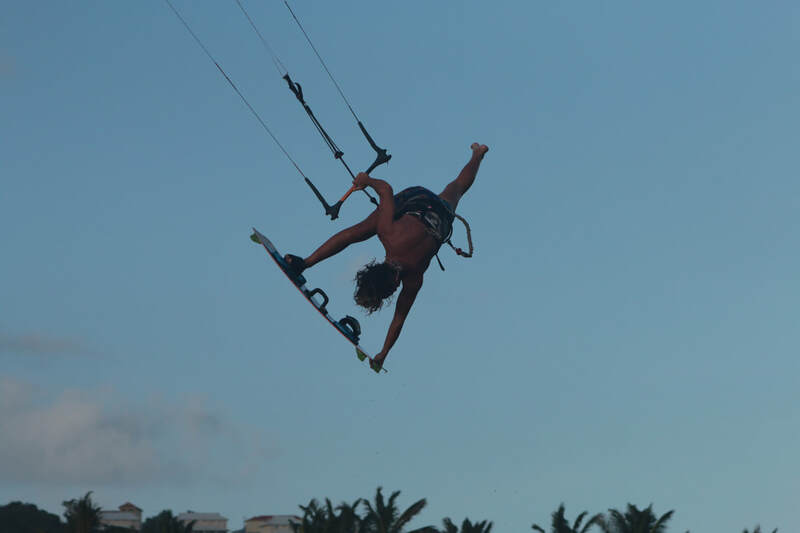 Watching Bobby kitesurfing out on the water will absolutely inspire you to go out their and try some new tricks. "Fly high like a bird"